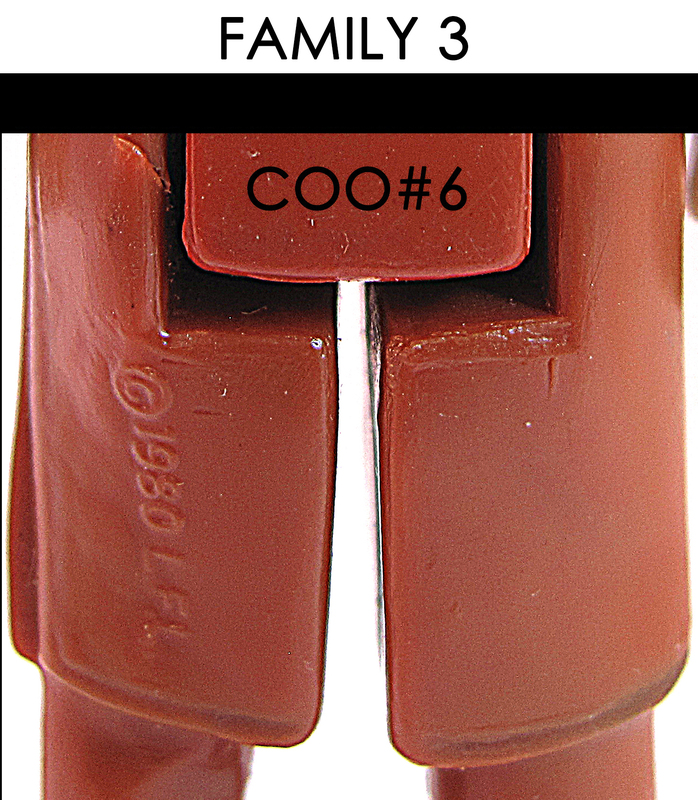 Here is a single image of what we are calling COO#6. It is part of Family #3. Its key identifying point is that it has a 1 Line COO stamp, slanted. This COO was only available in Turtle Necks and only has one variant. This figure is pretty common in later cardbacks. This figure is the one figure that I cannot visually tell inside a bubble since as you will see when this mold becomes altered to remove the Hong Kong stamp, nothing else changes on the figure and it is identical in almost every other way. The only way for sure to determine which figure is inside a bubble would be to open it which is not going to happen. Logic dictates that this COO (COO#3) would be on earlier card backs and her altered sister, COO#6, would be on later and probably foreign released cards. For now, when either of these two COOs appear inside a bubble, you just cannot be sure which one it was. This fgure is not too difficult to track down loose but near impossible to figure out when carded. 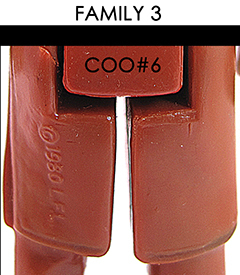 Since it is impossible for me to differeenciate between COO#3 and COO#6, I will list the sightings where either variation of this figure is confirmed. US Kenner ESB 47A, 48D & 77A backs. 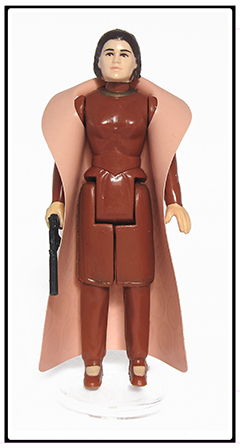 Parker/General Mills ESB 45 back. Please see the 'Packaging' section for more information and possible sightings.